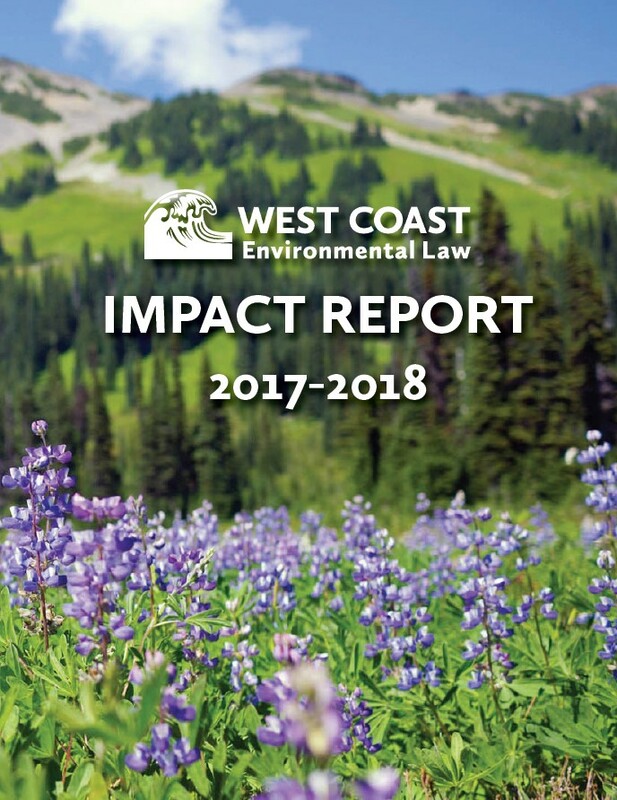 For an overview of our work over the past year, take a look at West Coast Environmental Law's 2017-2018 Impact Report. This annual report is a joint publication of the West Coast Environmental Law Association, the West Coast Environmental Dispute Resolution Fund Society, and the West Coast Environmental Law Research Foundation. Click here to view past annual reports from West Coast Environmental Law.